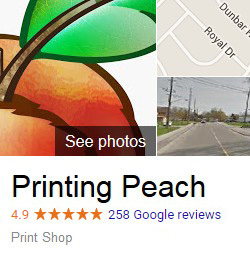 If you have something you need printed which doesn’t seem to be listed on our website, we would be happy to provide a custom quote. 95% of the time we can print people’s wild and crazy ideas! Please submit your information below and we will be in touch generally within one business day. If you’re in a hurry, call 1-888-587-2383 ext1. Often, we can quote custom jobs immediately over the phone.